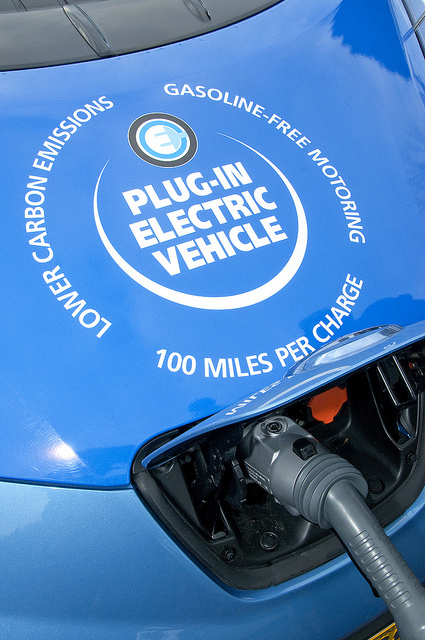 PG&E says its network of stations would support the governor's goal to increase the number of electric vehicles on the road. Regulators aren't convinced. A $654 million plan to build more than 25,000 charging stations for electric vehicles in California has been turned down by state regulators who expressed concerns about the potential for unfair competition. Pacific Gas & Electric filed the proposal in February, proposing to fund the network with money collected from ratepayers. The company said its plan would have helped further Gov. Jerry Brown’s goal of getting 1.5 million electric vehicles (EVs) on the road by 2025, according to a report at Greentech Media. While the utility described the plan as “essential to California’s success in achieving a reduction in greenhouse gases,” the California Public Utilities Commission said a “more measured approach” was needed. A typical residential customer would have paid an extra 70 cents a month under the proposal, but consumer groups said it was unfair to increase costs for people who didn’t own EVs and wouldn’t directly benefit from the charging stations. The San Jose Mercury News reported the stations would have been built in PG&E’s service area, which covers northern and central California. Private companies worried that PG&E would stifle competition and innovation because the utility would have broad control over the design of the charging stations and the support services for the network, the newspaper said. Largest EV market in the U.S.
Electric vehicles make up a small slice of the overall automotive market, but PG&E has a lot of them in its service area–roughly 65,000 vehicles, or 20 percent of all the EVs in the country, Greentech Media says. The website Inside EVs, which keeps a running tally of sales, says 72,270 EVs had been sold in the U.S. this year through the end of August. The Tesla Model S is the most popular, with 14,500 units reported sold so far in 2015. The Nissan Leaf and Chevrolet Volt are the next two best sellers. One of the problems with electric vehicles is their limited driving range (the 30 kWh Leaf, for example, has an estimated range of 107 miles). 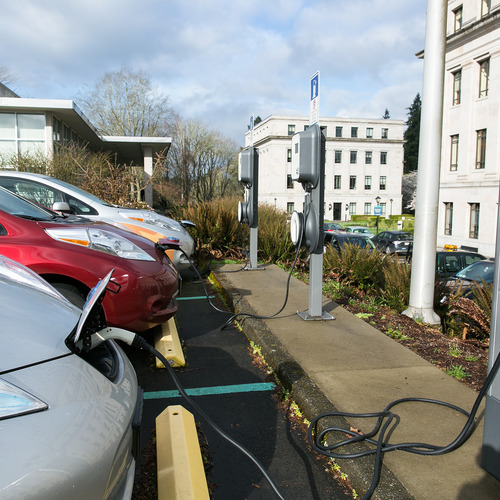 An expanding network of charging stations will certainly help make the vehicles more appealing. The U.S. Department of Energy maintains a searchable database of stations offering alternate fuels, including electricity. 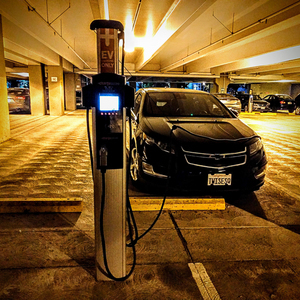 ChargePoint, whose network of EV charging stations includes nearly 24,000 locations, also allows users to search for local stations on its website. Drivers may also have other options, depending on where they live. Some charging points are free, others charge a fee. 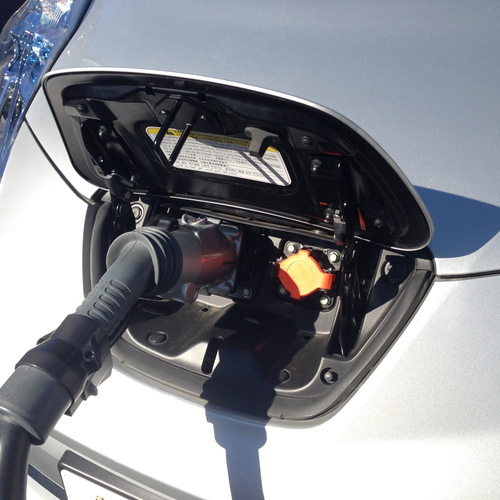 Two other large California electric utilities also have come up with plans to support the spread of EVs. Southern California Edison last year submitted a plan to develop the infrastructure for as many as 30,000 charging stations over the next few years, an earlier report at Greentech Media said, while San Diego Gas & Electric submitted a plan to install as many as 5,500 EV chargers in its service area. They wanted to build 25,000 charging stations for 65,000 electric vehicles in the area? Could you imagine if there was 1 gas station for every 3 gasoline engine cars! So the people that don't even own a car and use public transportation or ride a bike to get around would pay higher electric bills to subsidize those that own electric vehicles. What a prime example of green privilege where those that can afford the status of an electric vehicle are asking for a subsidy from the single moms working three jobs to make ends meet. Is ‘Range Anxiety’ Really Justified?